A thoughtful mix of national top-tier retailers and local shop keepers. With a distinct architectural style using Spanish elements, The Shops of Spanish Village is located in North Dallas at Coit and Arapaho Roads on the cusp of West Richardson, south of the George Bush Turnpike. Coit Road is the major north-south thoroughfare. The shopping center is centrally located to each of the major expressways: Arapaho connects to the Dallas North Tollway and Central Expressway, and Coit Road connects to George Bush Turnpike and LBJ Freeway. This allows for easy access to Downtown Dallas, Plano, Garland, Addison, Allen and other suburbs. There is an estimated population of 145,000 residents within a three mile radius of the Shopping Center. The typical resident has a median age of 37 years, is a native English speaker with some college background or a bachelor’s degree, is a homeowner with a family and is estimated to earn over $100,000 yearly. The median home value is $240,000. 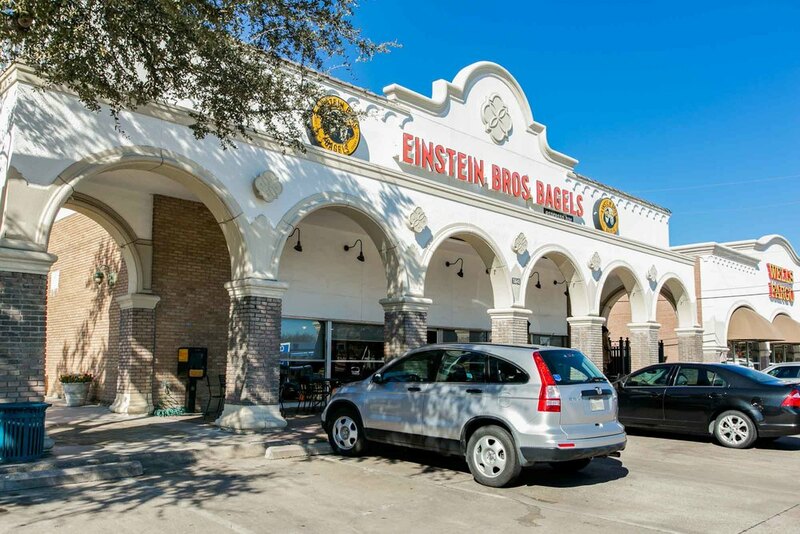 The communities immediately adjacent to the Shopping Center include established neighborhoods with an abundance of parks, churches and a full range of schools in the Richardson Independent School District. George Underwood, Underwood Development Co. Thank you for your submission. We'll contact you soon.